I have been thinking about my friends a lot lately. I have been thinking about what I give to my friends and what I need back from my friends. That led me to thinking about the wonderful friends I have had in my life and what an absolute blessing they have been. Love, laughter, constancy, support, advice, help, trust, loyalty, connection, honesty, acceptance, forgiveness, compassion…someone to share the small things of life. Someone to share the small things – and the big things too! To be involved in the minutiae of someone else’s life, to get to know them intimately and love them anyway. What a privilege. Friendship is a privilege. Friendship cannot be forced or rushed. It must be left to evolve in its own time. Some friendships can take years to develop, and some can develop instantly. Friendship is an art. It takes practice to perfect. Unlike a sexual relationship, which has the spark of lust to ignite the interest between two people, friendship must be forged through common ground, compatibility, respect and affection. I think this is why so many flaming love affairs burn themselves out, but a friendship can last a lifetime. I have had many friends in my life – some have blazed in and out and some will be with me for life. Every single friend has taught me something. My friends inspire me. I covet their good qualities and ignore their weaknesses. My faith in humankind is strong because of my friends. Then there are the first friends that you make as an adult. When I was 21 I moved to Sydney to study Homeopathy and Nutrition. I shared a two story terrace house in an inner west suburb with two women, Anita and Chloe, who were both Art and Jewellery students. We lived together for over 2 years, sharing the trials and tribulations of young womanhood, studying, working, men and making ends meet. We made ourselves a haven where we were always safe and relaxed. Good friendship does that. They taught me about the city, food, cooking, art, how to let loose and music (even now, listening to Spearhead, Tim Rogers, Mazzy Star and Michelle Shocked takes me right back). I loved those girls so much! At the same time I met a South African woman called Cheryl. She was studying Homeopathy with me at Nature Care College. We also studied the art of love – closely. We learnt the dos and don’ts of men together, and are much the wiser for it! We are still friends 14 years later. She holds my heart in her hand. Cheryl is so vulnerable, yet so strong. The fire of life has scorched her, but she rises from the flames again and again. Respect. She has taught me courage, faith, determination and devotion. Later on, I moved back to the country town I had left 8 years before. My mother had asked me to come and work for her, saying that one of her receptionists had left and the other woman could only work two days. What with one thing and another I did want the job, but only if it was 4 days. It didn’t occur to me to think about the woman who I was doing out of a job! Later, when I met her, she didn’t mind a bit, and refused to listen to my apologies. 12 years later, we are the best of friends. She looks like a fairy, my Aquarian friend, and indeed I suspect she might well be one. We were pregnant with our first babies together and life-long bonds were formed. Some friendships transcend time with connections arcing back through lifetimes – this is one of them. No matter what, Michelle accepts me for who I am, warts and all. She is patient with my impatience and heavy-handedness and never takes what I say personally. She has taught me that good things come in small packages, acceptance, lightness, courage and determination. You rock, Soul Sister. What about those friends that blaze into your life, fill it with light and colour and then vanish? I don’t know why, but they tend to be Leos 🙂 I am not used to my friends packing up and leaving, so it was very traumatic when 3 good friends left and went overseas within the space of two months last year. I am still getting over it! Shana, Antoinette and Heather, I miss you girls! Thank goodness for Facebook, Skype and email! One wild Leo girl came into my life for a couple of years when I had just moved up from Sydney. She had a massive head injury from falling off a cliff while rock climbing. She was all alone, no family, no roots to support her. Even this didn’t stop her magnificence. She re-opened my eyes to Spirit, energy work and conscious living. The Goddess Ishtar :). She left years ago to study Osteopathy in Melbourne. And then there are the friends that you make as a mother. These friends teach me about community and transcending differences to work towards a common goal. We are linked through our common experiences of place, child bearing, motherhood and children. We can’t dedicate the amount of time to our friendships that we used to be able to when were younger because we have so many demands upon our time and affections, but we are all in the same boat. That doesn’t mean we accept a lower quality of friendship; the same standards apply. It’s quality rather than quantity at this time of our life. The women that I met through my son’s playgroups are still my friends now. One of them returned to America last year after 5 years in Australia. She is a Leo though, and does not intend to be forgotten :). She makes me divine compilation cds of all her favourite songs, and sends me packages filled with surprises. Her last package to me for my birthday was filled with fragrant tea, turquoise jewellery and an emerald-green pashmina that she wore in her winter and which I have now wore in mine. I will send it back to her soon, because Autumn is on its way in Michigan, and she will be needing it. Shana has taught me about Passion, devotion, motherhood, local food, world music and an open-hearted love of life. Friendship is so fluid and elastic; some friendships are hard to categorise. I have been so lucky to have such good friends in my life, and truly I feel gratitude for my friends every day. It is important, I think to know what you need in a friendship: I know for sure that my friends must not keep secrets from me and they must be honest, consistent and reliable. Above all, they must be strong enough to be themselves, warts and all, because that is where the inspiration of friendship lays. 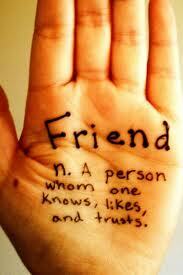 Is friendship important in your life? What do you require from your friends? Good ;question. Friendship is important in my life. My friends tend to be kind, compassionate, generous people with open minds and big hearts. They also tend to have a sense of whimsy, adventure and artistic flair of some sort! I’ve been blessed with wonderful friends. I happen to be a Leo with friends from all signs, but many of my closest friends are water signs, particularly Cancers. I consider my mother one of my best friends and she’s a Gemini on the cusp of Cancer. Maybe my love of water signs comes from all of my Leo planets are in the 4th house classicaly ruled Cancer and I have Jupiter in Pisces in the 11th house of Friendship and Hopes and Dreams. It’s hard to say sometimes what draws us to our friends, but it’s fun to think about what makes our friendships work. My favourite friends are often (but not always) air signs. my moon is in libra, so that could be one explanation. I think a person’s friends are a reflection on that person; I love how you have described your friends – would you describe yourself the same way? Wonderful post! I look over my friendships in much the same way you do. I marvel at those I have stayed connected with, and those that have gone. I have to come to see how this has been necessary. Those of us on this path of living our best lives…no matter what…always find each other again…no matter what. Those who may have different paths, go another way. Sometimes we meet up again, but not always. My dear friend I’ve had since kindergarten, got OFF the path big time. It was no surpirse to me, though, that as her life became more centered, she and I found each other again. Part of me always knew we would. I value my friends…I have many that I call “soul companions”…and that makes me lucky indeed. I feel very fortunate to have the friends that I have had. I know some people put a different value on friendship than what I do, but to me, they are as important as family in my life. Thank you for reading Lis, and I’m glad you enjoyed what i wrote. Great post. So often we take our friends for granted. I recently had one of my “besties” from college come into town. So many years have gone between us that we didn’t keep in touch yet, we were able to pick up right where we left off. The older we get the harder it is to stay in touch, but just like our relationships our friendships take work and it’s always worth it in the end. The Avett Brothers have a line in their song Head Full of Doubt, “… as long as you’re loved you’re never rejected, decide what to be and go be it.” A lot of us wouldn’t be able to be what we wanted without the support of our lovely friends to push us on. Gosh, so true. I wouldn’t be half the person I am today without my friends. Thanks for reading!